By now you might’ve read here or here about Siren: Blood Curse, an episodic survival horror game coming this summer on PlayStation Network. W also posted the first trailer right here on the PlayStation.Blog. To give the Blog readers more insight into this game, we held a Q&A session with Siren: Blood Curse’s creator, Keiichiro Toyama. We have translated this Q&A for your reading pleasure. We hope you enjoy the creepy insight into the storyline and strategy behind Siren: Blood Curse. With Siren Blood Curse, the leap in visual presentation has helped to convey a tangible sense of fear and makes the player feel as if they’ve truly been pulled into a nightmarish world. The new split-screen Sight Jacking system also helps give the game a more active pace than the previous titles. When it comes to story, Siren Blood Curse manages to preserve the level of depth and mystery from the previous SIREN games while presenting it in a manner that makes it easier to follow. How has the story of Hanuda developed? Does Siren: Blood Curse bring a conclusion to the storyline? Siren Blood Curse is not a sequel or a standard remake of the other games. Suppose the events of the original SIREN were real, in that case Siren Blood Curse would be like a “movie based on a true story”, adapting and dramatizing the original. While some of the key events bear resemblance to those in the first SIREN, the characters and the background are completely different. How has the introduction of western characters changed the SIREN storyline? The addition of Western characters who have stumbled into horrific events taking place in a world that is foreign to them helps enhance the feelings of isolation and terror. I think they will also present Western players with characters that are easier to relate to. This mix of Western and Japanese characters with the inevitable communication troubles that ensue adds to the frustration the various characters feel toward their situation. What opportunities became available to you through releasing the game in episodic content on the PSN? We were able to present the game more like a dramatic TV show in a way that hasn’t been done before. I also hope the episodic structure will give players the sense that they are participating in an event. How does your approach to storytelling change when working with a game released in a series of episodes? The approach we took in the previous games was to present events much like a documentary presenting a piece of a bigger truth. The new episodic nature required more structure, and also helped to step up the overall quality of the final product. Why do you approach the narrative of SIREN titles with such an unorthodox and fractured approach to timeline and storytelling? The unorthodox approach to storytelling was motivated by trying to present a story in a way that only games could do. 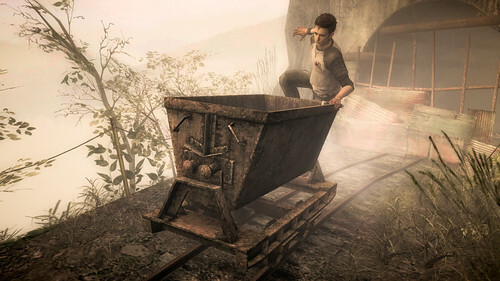 Replaying the same event while seeing it unfold in different ways is something I feel is an inherent characteristic of video games, so I wanted to take that unique element and weave it directly into the story itself. How has the ‘sight-jack’ feature evolved and how does this aspect contribute to the Siren: Blood Curse experience? In Siren Blood Curse, Sight Jacking has been redesigned to be split-screen, allowing the player to see through multiple points of view at the same time. Now, players are free to move while Sight Jacking, giving the game a much more active tempo than it had before. What does Siren: Blood Curse bring to the survival horror genre? A lot of survival horror titles in recent years have been focusing mostly on just the action element, while Siren Blood Curse puts a lot of its effort into scaring the player and presenting a rich story. I think Siren Blood Curse can serve as an example of the diverse range that games are capable of expressing. What are the key ingredients to a good horror title and how does Siren: Blood Curse deliver these? A good horror title has to make the player feel like they are directly involved in the terrifying events taking place, and that requires realism. I think you’ll understand just how much realism can enhance horror when you see Siren Blood Curse. Did you consult fans on what they wanted to see in the next installment of the SIREN series? One opinion we noticed from a lot of the fans was that the original game was way too difficult. A lot of them never completed the game because of that, and we listened. If you want to see just how we’ve taken those opinions into account, first play Siren Blood Curse and then go back and try the original. What about Siren: Blood Curse are you most proud of? I’m most proud of the way Siren Blood Curse embodies a unique, Japanese sense of horror. 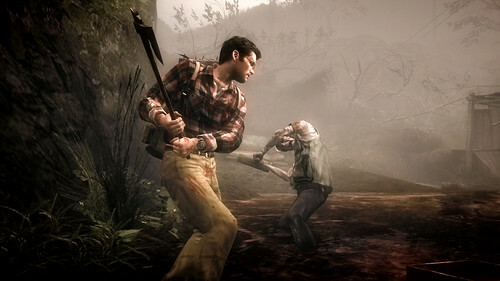 What advantage does Siren: Blood Curse have in being the first survival horror title on PS3? Or is it a curse being first next-gen survival horror title? It’s only recently that I’ve realized that Siren Blood Curse would end up being the first, so I haven’t really had a chance to worry about any disadvantages. Of course, when it comes to advantages, I think being the first will only help the game to have that much greater of an impact when people experience its next-gen visuals. What does Siren Blood Curse offer that titles such as Resident Evil and Silent Hill do not? Two things Siren Blood Curse offers that those titles don’t is a sense of horror made possible in a Japanese setting, and the human drama created from the interactions of the different characters. 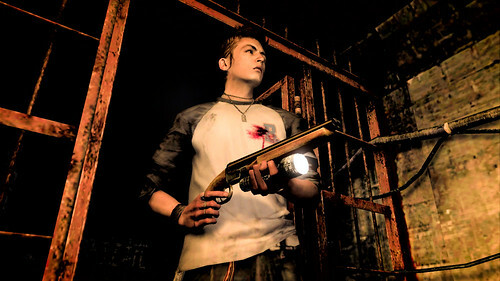 With the increased power of the next-gen devices, how has survival horror grown to embrace this? Are horror games now the ultimate in immersive horror experiences? The potential with lighting and textures are areas that have greatly improved with the next-gen. These are two critically important factors for horror games, so I think next-gen will have a major, positive impact on the genre. I don’t think realism always has to be about making things more elaborate, but can also be about making even simple things have a greater impact. Has the interest in J-Horror in the western world opened a new market for horror games based on this world? Yes, definitely. 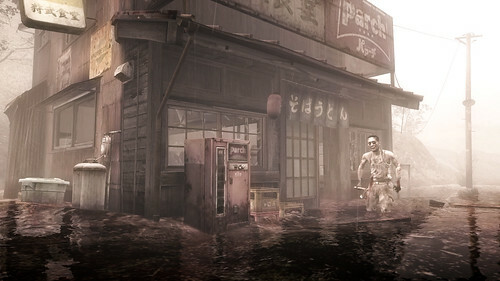 The interest in J-Horror spurred on by the success of Hollywood remakes like “The Ring” and “The Grudge” has helped lower the barrier in reaching the West with horror games like SIREN that are based on a Japanese setting. 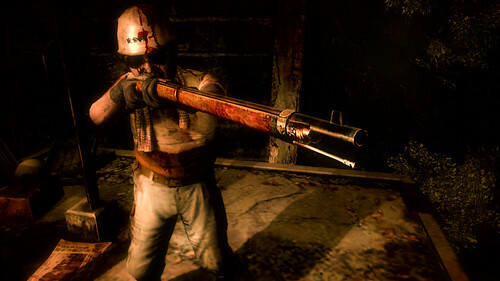 What are your favorite moments in the history of survival horror gaming? It’s not a survival horror moment, but the beginning of the game “Another World” made me feel like I had really been swallowed and dropped alone on a vast, new world. That scene had a deep impact on me, and it was at that moment that I first began to consider the potential games had for stirring an emotion like fear in the player. What are you favorite moments in horror movie history and did you use these as inspiration? There are a lot of horror movie moments that have influenced me, but two scenes that come to mind are when the main character’s world comes apart in the original “The Wicker Man”, and when the killers come together as a “normal family” in the original “Texas Chainsaw Massacre”. And finally… What scares you? I’m actually afraid of a lot of things, but if I had to pick one of them, it would be the fear that there is always a chance that at any moment everything that I’ve come to accept as my normal, everyday life could suddenly disappear. Do you have any questions for Keiichiro Toyama? Ask them in the comments and we’ll tried to get them answered in a future post! Generation: Gamerz What To Do When You Get Bored of Your PS3 Games?